Home > Patio Porch Screen Systems > SCREENEZE® Screen System > SCREENEZE® Patio Screen Frame & Cap - 96"
SCREENEZE® Patio Screen Frame & Cap - 96"
SCREENEZE® Screening System is one of our favorite screening systems for outdoor screened in enclosure such as patios, porches, decks, pool rooms, and gazebos. It is easy to install and you don’t need a lot of tools to install it. We recommend using SCREENEZE® patio screen system if your enclosure openings will be 40 square foot or larger especially in windy areas. Screens and screening system that use spline to hold in the screen mesh do not do well in windy areas with larger openings, because the spline and screen mesh have a tendency to pull out of the spline channel. One of the real nice things about this system is it is rated to hold the your screen mesh in place all the way up to a 140 square foot large opening without worry of the screen coming loose. The SCREENEZE® Patio/Porch Screening System allows for a flexible design that fits most any application. Includes one 8' section of aluminum frame and one 8' vinyl cap. This Porch, Patio or Gazebo screening system is an easy to install two-piece snap design, which does not require spline or rolling tools. The base is extruded aluminum, and the snap cap is extruded vinyl. Simply attach the base along the entire edge of the inside or outside perimeter of your opening. Lay your screen wire on the face of the base angle and snap the vinyl onto one side. then pull the wire across the opening, pulling just tight enough to take out the slack, snap the vinyl cap onto the opposing side. As the vinyl cap depresses onto the base, the wire is pulled into the cap channel thereby stretching the wire. No need to worry about bending or bowing the base angle since it will be firmly attached to the frame opening with self-drilling screws 10 inches apart (painted screws are supplied). 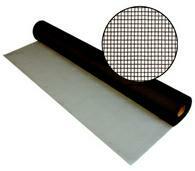 The SCREENEZE® System works with all 18 x 16, 18 x 14, and 20 x 20 Fiberglass screen wire. Angular openings are no problem, just measure the opening and miter the corners. As an added bonus, the screen wire can be removed during the cold winter months, and replaced with clear vinyl, to give an additional thermal break and air seal. Note: Screen wire and clear vinyl is not included. Minimum Order of 10 Sections. Order the SCREENEZE® Patio Screen Frame & Cap - 96" today! awsome easy to make just prefect. Wonderful product that worked exactly as advertised! Cutting and putting up aluminum strips took time but results are terrific. I installed screens in 4 x 6 ft openings and the product worked very well. Installing the screen was a breeze after the frames are installed. A note, make sure you buy the corner pieces to make the install easier. I was unaware of them until after I received the rails, they would have made the cutting and fitting the frame easier. I was able to install the screens without the corner pieces and they look great. ScreeEze patio screen Frame and cap 96" is awesome. i have these huge openings with direct view on a pond and did not want the boxed in look of regular screen porches. The fact that I could use screenEze and ultra view on a wide span is amazing and some of my friends have asked me how they could get it too. Advantages: Easy tio install- And it had to be screwed on concrete! ScreenEze is the best. It is the only way I will build a screened enclosure. Advantages: Quick easy installation, self tightening and looks great. Great product; easy to install, great for odd angles, and allows for large openings without crossbars. Overall a fantastic product, versatile, a professional look without need for many tools and much experience. Advantages: Sleek and clean design, easy to install. I installed the Screeneze system two days ago with help from a friend. Even though it was my first time with Screeneze, it was easy to install. We started and finished the patio screening job in one afternoon. The end result is a professional, clean look that impressed us both very much. 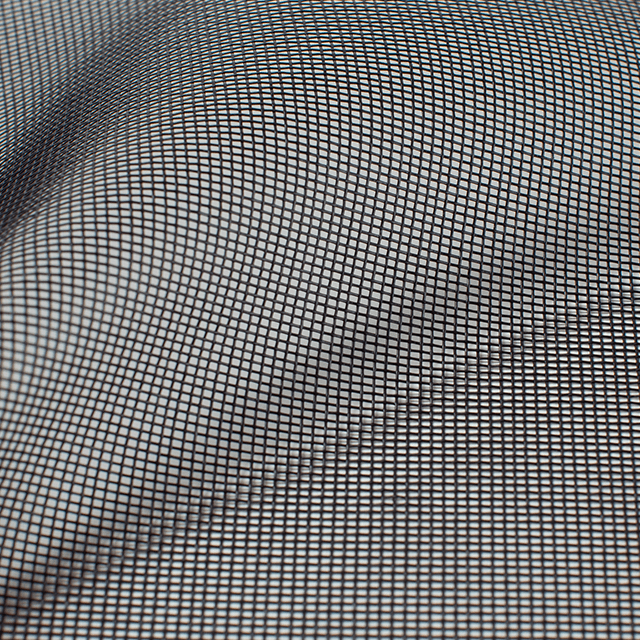 I can only imagine how easy it would be with the recommended fiber screen material- but even with aluminum, it was a very easy job. I used about $275 worth of Screeneze and $100 worth of black aluminum screen. My local glass/window shop gave me a ridiculous estimate of $5000, and would have chopped up the view with a bunch of smaller screen frames. To deal with the aluminum screen we first bent the screen over the rib with our fingers a bit, then used a short scrap piece of the cap, with grooves cut out, as a "running" forming tool, running it along the screen and rib. That makes snapping the cap down with a small block of wood and rubber mallet much easier. We did have to reposition one length of screen- there was no damage to the cap as we pulled off the screen before removing the cap piece. This avoids the problem the Screeneze folks warned me of about the screen stripping the ridges off of the inside of the cap piece. Even with the preforming, the aluminum is stretched tight as the cap is tapped in place- the screens are smooth and tight. This is a great screening product, I highly recommend it. I just did my screen porch with Screeneze and it was the most wonderful product I have seen. After installing the angles, the screen installation was quick and easy. The finished job looked great Thank You. Perfect fit for sliding screen patio doors. Keeps cats from scratching screens.